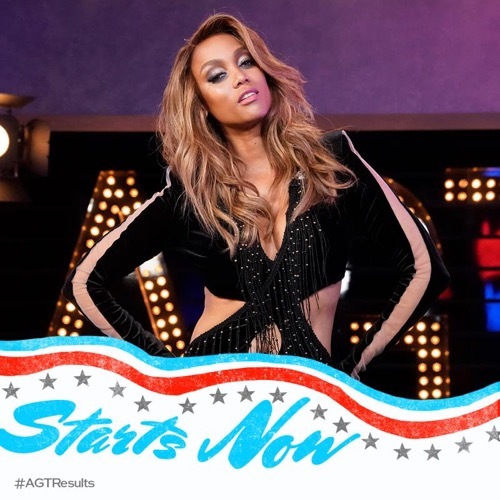 Make sure to bookmark this spot and come back later for our America’s Got Talent recap from 8 PM – 9 PM ET! Refresh often so you get the most current info! While you wait for the episode head over and check out all our AGT spoilers, news, recaps & more! Unfortunately, most of tonight’s results were based off what happened during previous performances and how well they did on Tuesday. Which leaves tonight pretty much a forgone conclusion. But there was something of a reprieve on tonight’s episode. There was one last chance to save one out of three up for elimination with a Dunkin’ Save. The Dunkin’ Save brought to us by Dunkin’ Donuts, allowed one special someone to move on to the semi-finals and it was again a choice for the audiences at home. So there was a chance for some at home to call at any point of time before the end of the recap to save either of these three: Chase Goehring, Eric Jones, and Evie Clair! All three had had great performances on Tuesday and were even considered fan favorites. Yet, things could change very fast depending on who has support and who doesn’t. So remember those three names and at least try to pick one because several have already gone home. Jonny Manuel for example, had chosen to sing an original song and had certainly gotten some flak for that though no one had expected that in a choice between him and Yoli Mayor that both would end up going home. And so Tyra had honestly had to ask Simon for some help. Tyra had said that she didn’t know how to cheer the both of them up after such a heartbreaking loss and so she had wanted some advice from Simon who was a musical expert. Though all Simon could truly say on the matter was that no one going home was a loser. He said truly believe that everyone tonight was talented and he didn’t want to feel like tonight’s setback was anything more than that – a setback. So Johnny and Yoli leaving was just one of the shocking twists of tonight’s episode, but thankfully there were some whose talents were seen and appreciated. Preacher was described as one of the best up and coming comedians and he was moving on to the semifinals next week. But the semifinals will be starting an hour later than usual because it will be on after the television musical event to raise money for the Hurricane Relief Fund. Those devastated by Harvey will be remembered by the entertainment community and will receive much-needed funds to start rebuilding Texas. So Tyra had reminded everyone of the worthy causes they will be honoring – she had to once again announce tough decisions for those tonight. Preacher had been saved however he had been chosen over DaNell Daymon & Greater Works who were sadly eliminated. But as the night continued on, decisions came down to either Billy and Emily England or Sara & Hero. So Tyra would later announce it was Billy and Emily that were eliminated tonight and they were soon joined by Mike Young who also found himself eliminated in favor of little Darci Lynne Farmer. Therefore a ventriloquist, a dog act, and a stand-up comedian were just some that were leading the way so for. And then came the Dunkin Save. The Dunkin Save couldn’t last forever and so America decided to save Evie Clair. Evie Clair was a young girl with quite a talented voice and therefore it wasn’t that surprising that she had been chosen. However, that left two up on the chopping block and so once again things were put in the judges’ hands. The judges have watched most of tonight without judgment yet given the chance to voice their thought process they all said that while they believe Eric to be a talented magician that they couldn’t help voting for Chase. Chase has been compared to Ed Sheeran and not just because they’re both gingers. So the judges couldn’t help but vote for him though the door is always open for Eric to come back and try again next season! And while tonight was a sad night for some many hopefuls, it was interesting, to say the least as the judges played games and became reacquainted with some scary clairvoyants that tested the judges’ hidden talents.